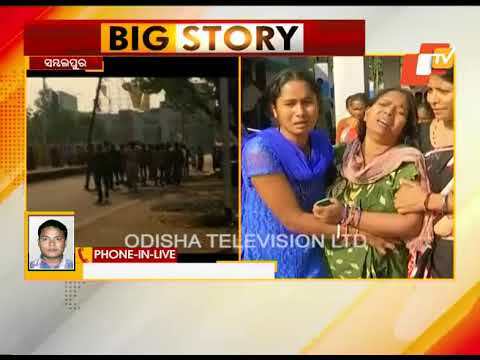 Tension erupted in Sambalpur town after a youth was hacked to death in Thelakopada area early this morning. As per reports, the deceased, identified as Sujit Nag of Thelakopada was chased and allegedly hacked by a group led by one Pandava Mukhi near Laxmi Talkies Chhak in the wee hours. Although Nag was rushed to the Sadar hospital in a critical condition, he was declared brought dead by the doctors. In a fit of rage, the supporters of Nag attacked Mukhi’s brother Shankar injuring him critically. Later, Shankar was taken to the hospital where he succumbed to injuries. They also torched the house of Mukhi. As the incident has sparked protests by angry locals, the district administration deployed a large number of police personnel in the area to maintain law and order. Though the motive behind the attack is yet to be confirmed, past animosity is suspected to be the reason.